Obituary for Kathleen A. (Casey) Robinson | Young Funeral Home And Cremation Services, LLC. 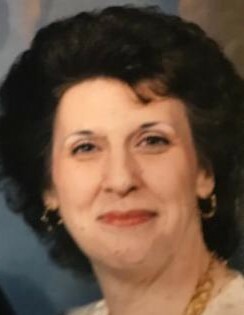 Kathleen Ann (Casey) Robinson of Burgettstown died Tuesday November 27th at Washington Hospital after a brief illness. Kathleen "Kathy" Robinson was the daughter of the late John P. Casey Sr. & Geneva (Provenson) Casey of Atlasburg PA.
Kathy was a graduate of Burgettstown High School and was a retired sever of twenty two years from Red Bull Inn and seven years at Carino's Italian Grille. Surviving brothers John P. (Millie) Casey Jr. of Avella, Michael (Barbara) Casey of Bethel Park and Sister Mary Margaret (Richard) Bayless of Bethany WV and many loved nieces and nephews. Preceded in death oldest sister Janet (Casey) Ozenbaugh of Hickory. Kathy was a loving wife, mother and grandmother who enjoyed trips to the casino's and watching Steeler and Penguins games on TV. A blessing service and committal will be held on Saturday December 1, 2018, 10 at the funeral home. Burial will be private at Mt Prospect Cemetery.